Developing and then activating a complete strategy can be attained by taking a step back, looking at the big picture and then determining how to approach your marketing from a different angle – one that results in the creation of a complete “modern marketing ecosystem” for your brand. In this white paper, we’ll discuss what makes up a modern marketing ecosystem, why your website should be the cornerstone of your brand and how having a balanced strategy is a must to compete in today’s digitally charged climate. The idea of ecosystems comes from the natural world and describes both living and nonliving elements including animals, plants, air and water all interacting with each other to create a balance. The key component of the ecosystem is the interdependence of each member of the community upon one another. The circle of life if you will. In the same way that these communities exist in nature, a modern marketing ecosystem can be created for your business, with your website as the focal point, that creates a balanced and comprehensive representation of your brand – not to mention a powerful source to attract enthusiasts. Developing a modern ecosystem starts with assessing how your current marketing strategy measures up, addressing your overall branding and finally putting in place a strategic plan that continually drives enthusiasts to your website. As your website is where you have a captive audience, you can then tell your brand’s true story and gain new customers and fans. Without creating a balanced approach for your marketing strategy, you’ll likely find that you’re missing a critical element (or two or three) that if implemented would have made your efforts a greater success. It’s all about developing a comprehensive strategy that ensures you’re reaching YOUR intended audience on a consistent basis. 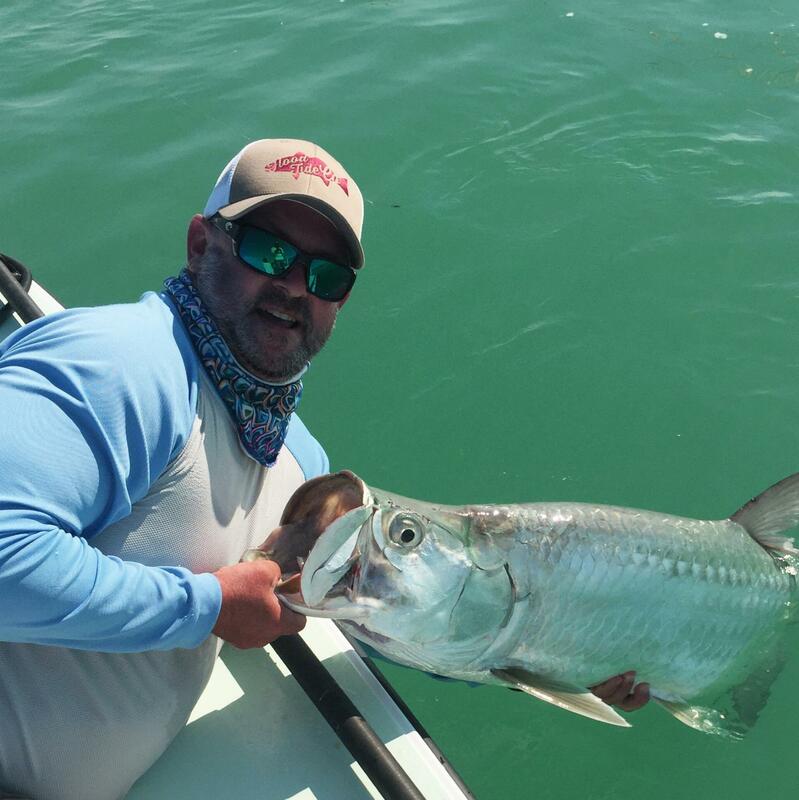 Just as the sun is at the center of our natural ecosystems, your outdoor brand’s website is the most critical element in the modern marketing ecosystem and is your single most important marketing tool. Appropriately, we place your website at the very center of your brand’s ecosystem – with just about everything else you do serving to attract and drive traffic to your website. We put this much emphasis on your website as it’s the one place (besides your brick-and-mortar location(s), if those exist) where you truly have a captive audience. Here is where you can tell your brand’s complete story, showcase your products and engage enthusiasts on a level that can’t be achieved through any other marketing avenue. This is why it’s critical to your brand’s success to have a website that measures up to and exceeds industry standards and thoroughly immerses your audience in your brand’s story, culture and unique product offerings. Your website must fulfill a number of roles, and in many cases may be the final conversion point for either the actual product sale or the final step before an evaluator visits a dealer to make that purchase. Everything from your site’s home page to the contact page should be well-considered and orchestrated in a strategic manner that allows researchers to learn more about your brand and for evaluators to make the final decision to act. If you’re not sure whether or not your website is up to the challenge, we suggest performing a website and brand audit to see just where you stand today. With the exception of a few select promotions or social media posts, which may be designed to create general awareness of your brand and its offerings, the key role of all other elements in your modern marketing ecosystem is to engage enthusiasts and ultimately drive them to your website. This may happen through traditional outbound or push marketing, such as email marketing, traditional media or online advertising like Google Ads. Or it may take place through inbound marketing channels, which “pull” prospects to your website rather than push them, such as search engine optimization (SEO), content strategy and social media. 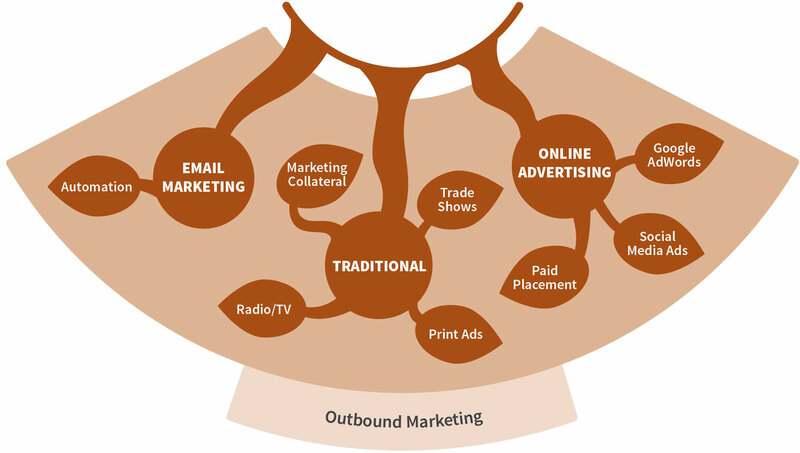 Think of outbound marketing as your more traditional means of marketing. In addition, understand that just because digital remains the focus of many marketing conversations, more traditional methods remain important to the overall marketing mix and still demand your attention. 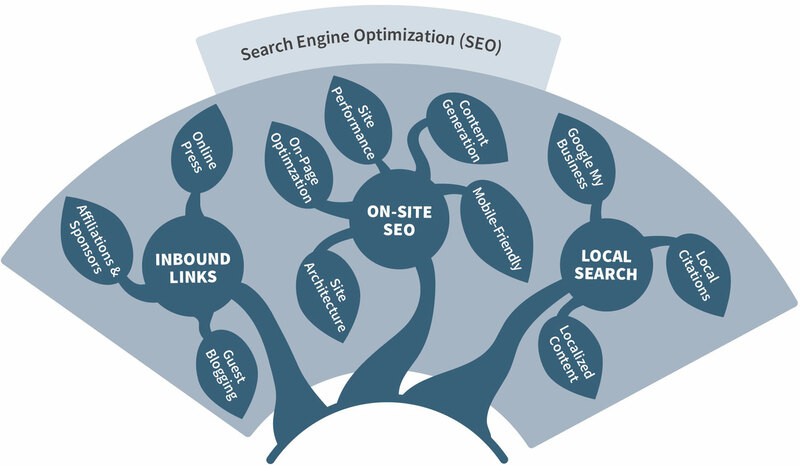 Search engine optimization is a form of pull marketing, where you’re not pushing ads and content to your target audience, but rather attracting your audience to your website via custom content and a well-optimized SEO strategy. While your brand’s social media channels may often seem as destinations upon themselves, they still serve to communicate your brand’s culture, showcase the lifestyle which you’ve created for your brand and YES, drive website visitors. 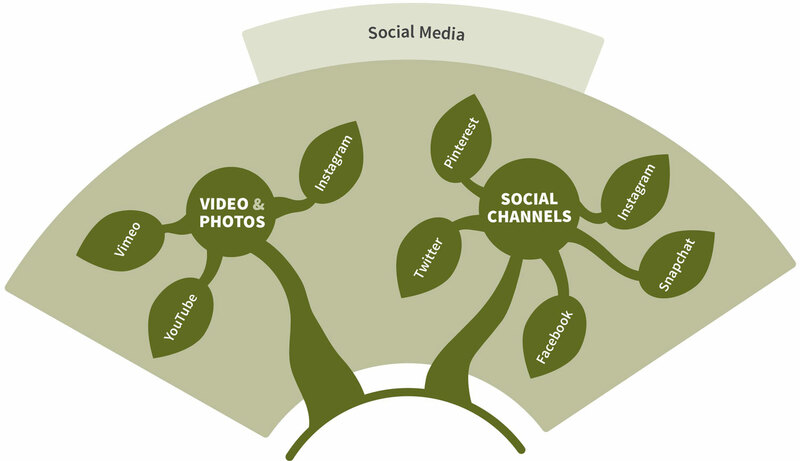 Social can be broken down into two main categories, each with its own unique twist on content strategy. It’s important to know and understand that while our ecosystem graphic is representative of the vast majority of marketing channels available for your brand’s ecosystem, not every channel is a fit or needed for everyone we work with. It’s not an all-or-nothing approach and indeed some channels just don’t make sense for certain brands. The point is to understand what’s available and then to choose a well-balanced approach to creating a website that fulfills the goals of your business and brand and then to create a strategy, utilizing the other elements of the ecosystem, which are most fitting for your brand, goals, audience and budget. By taking the approach that your website is the most important element in your marketing strategy and then building out a customized, balanced ecosystem that aligns the right enthusiasts with your brand, you’ll have much more success turning prospects into customers and customers into loyal fans.